Magento ecommerce website for a large B2B supplier. Instock is one of the largest independent distributors of cleaning and non food catering supplies in the UK. Established in 1974 to service the fledgling Offshore Oil Industry they have expanded by both growth and acquisition and operate out of 3 depots in Aberdeen, Livingston and Carlisle. 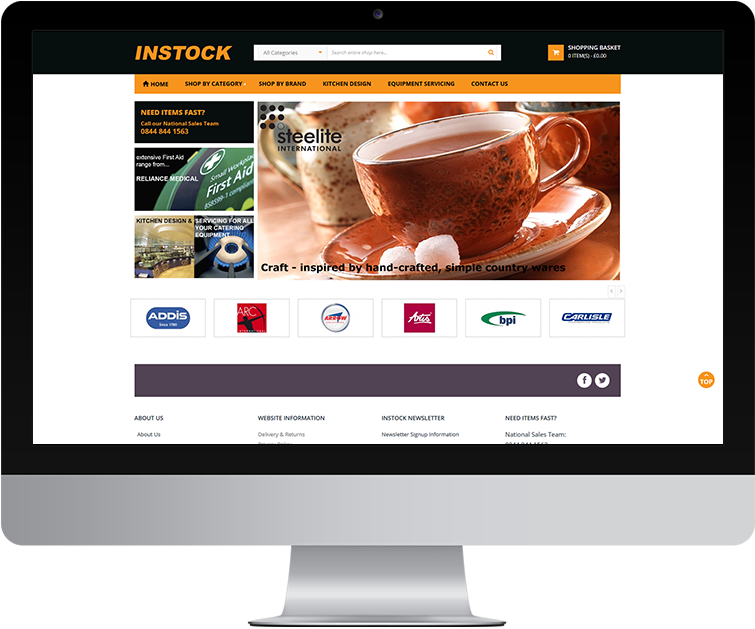 We have been working with Instock to create a complex B2B Magento website that works seamlessly with Merlin, their business information system. We have also developed a cXML punchout solution that allows the online catalog to work with the purchasing systems used by councils and large buyers.